To get this job done, business owners have the option of roping in a freight forwarder – an agent or a firm that takes the responsibility of ensuring that the goods reach their destination. Significantly, a freight forwarder does not do the actual packing and moving, but arranges, manages and monitors it. They are responsible for seeking out, liaising with and paying firms that provide shipping – it could be ocean freight shipping, air freight shipping, or even moving cargo by train or automobile. In a nutshell, it is their job to make sure that the supply chain that they have chosen remains unbroken and the goods change all the hands involved till it is delivered to the designated doorstep at the right time. As you can imagine, this is no mean feat and requires the highest amount of organisational acumen to be executed without a glitch. While you have the option of working directly with carriers who transport goods, roping freight forwarders is a smarter choice – not only do they prepare and handle all the sundry paperwork involved in shipping goods (bills of lading and routing, invoices, export declarations), they also ensure that the goods are cleared through local customs. It is also their area of expertise to choose the most optimal combination of transport modes for your consignment. Though their fees include payment to different transportation companies in addition to the logistical service they are offering, you may actually end up saving on transportation by hiring freight forwarders. With their help and advice, you can save on port charges, consular fees, documentation, insurance and freight handling. They also help you make the most of fluctuating freight rates, helping you find the perfect balance between cost and speed of delivery, and based on the needs of your business. Many businesses have manufacturing units in China, or need raw materials from the country that are used for production in their units in the western hemisphere. 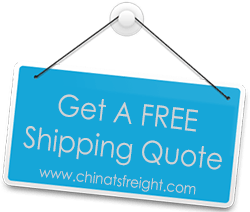 Now, if your business involves shipping cargo from China, it’s a good idea to opt for a China freight forwarder rather than hire one in your own country. For one, the charges in China are likely to be far cheaper than in other developed countries, thanks to lower labor cost and exchange rates. Add to this their familiarity with the local landscape, language and other experience, and you’re guaranteed a superior quality of service. In fact, you will be surprised to know that most international freight forwarders are going to hire local services anyway to get the job done, but charge you more to make profits after they pay the local company. So why not hire them yourself, save on money, and get the same quality of service?